Carrying out Internet transaction has it benefits and at the same time can make you loose your money to scammers, hackers online, when you access the website wrongly. 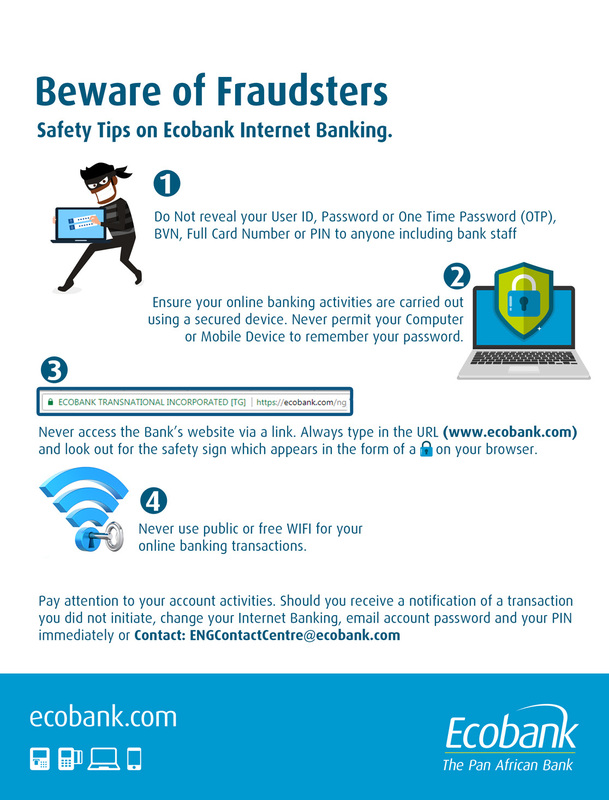 On this post we have outline 4 Safety Tips that will keep you safe when you carry out internet banking on ecobank. Ensure your online banking activities are carried out using a secured device. Never permit your computer or mobile device to remember your password. Never use public or free WIFI for your online banking transactions.